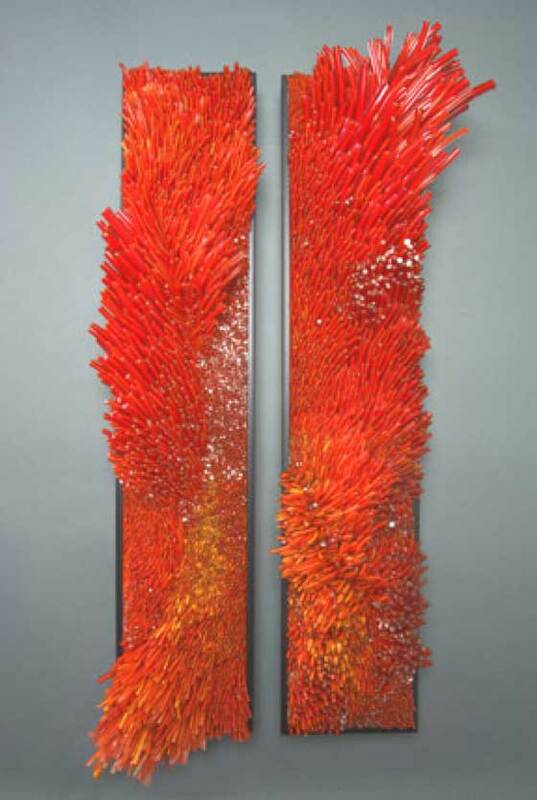 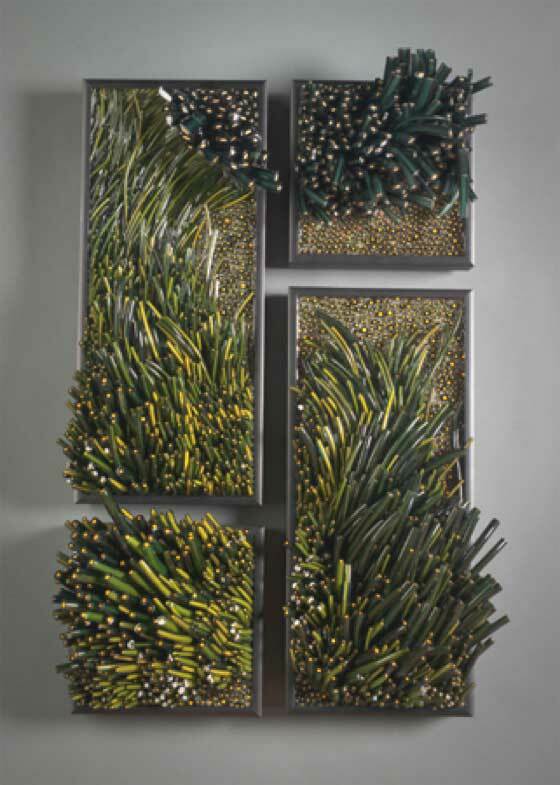 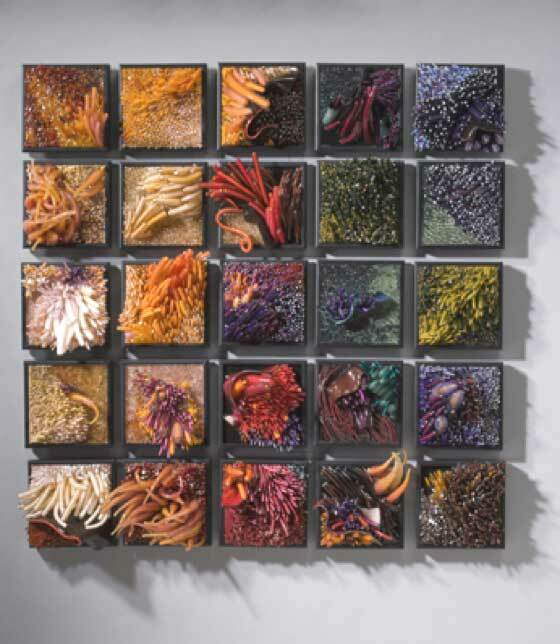 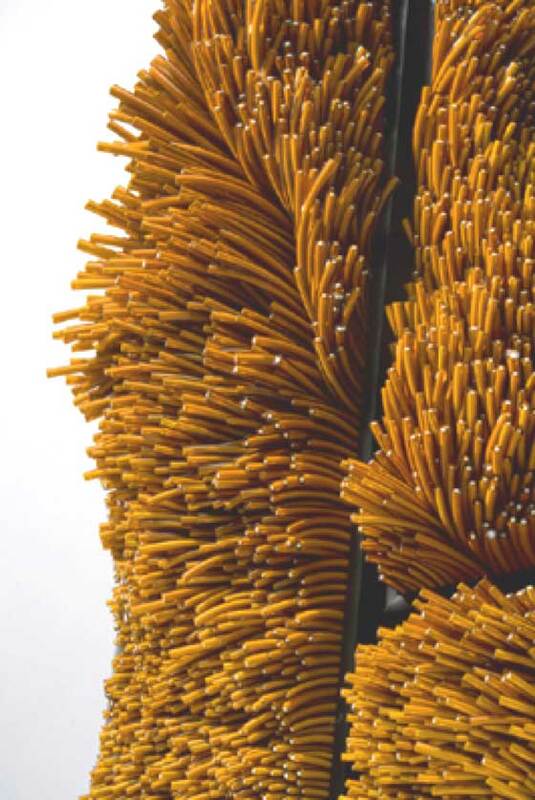 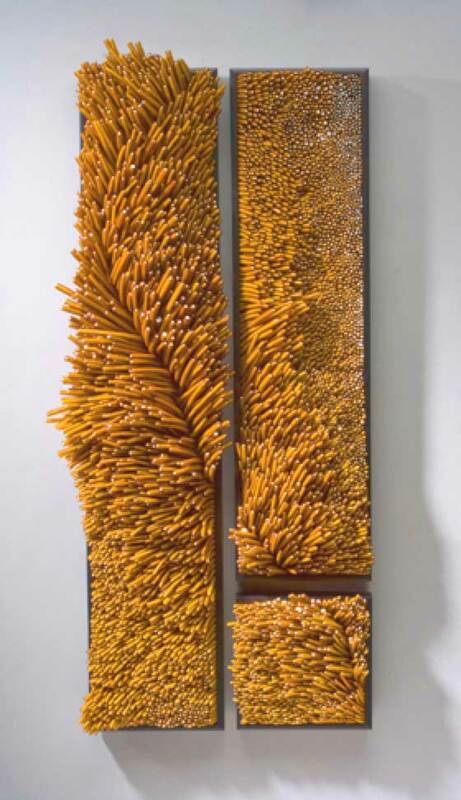 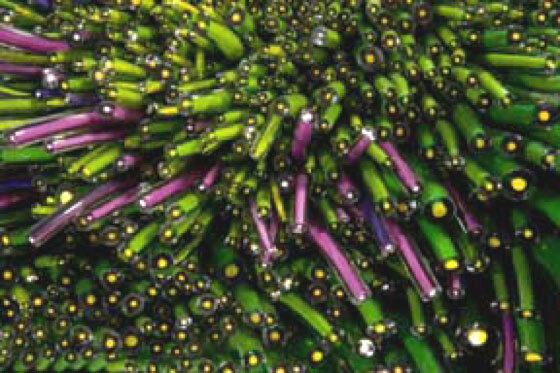 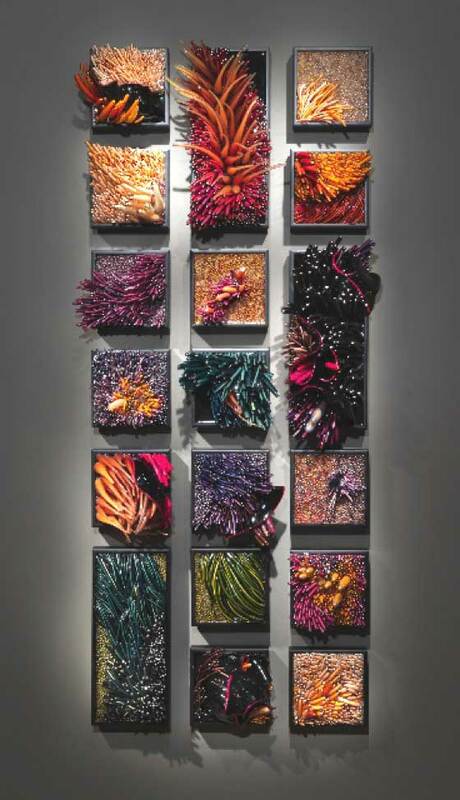 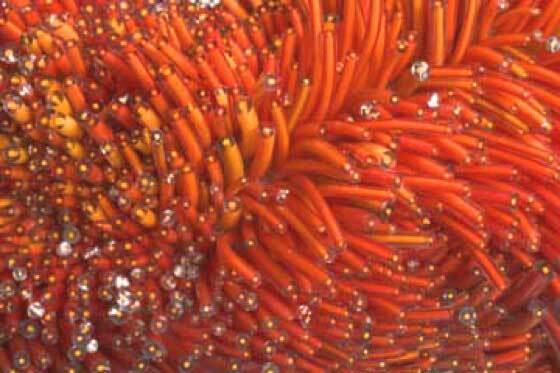 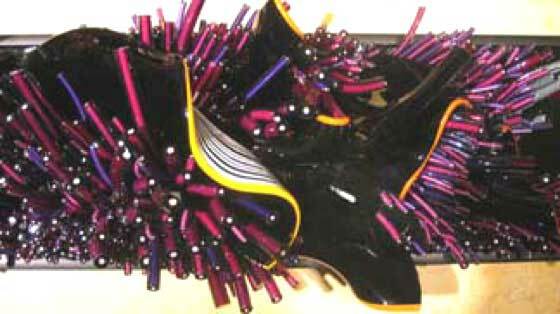 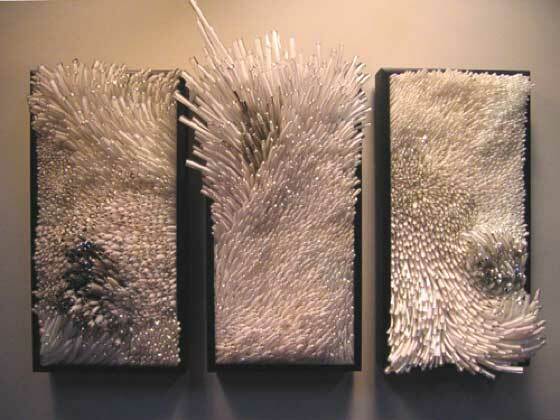 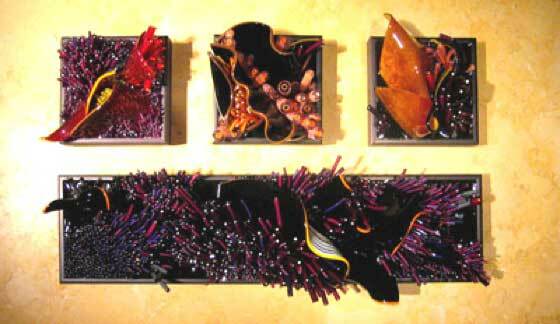 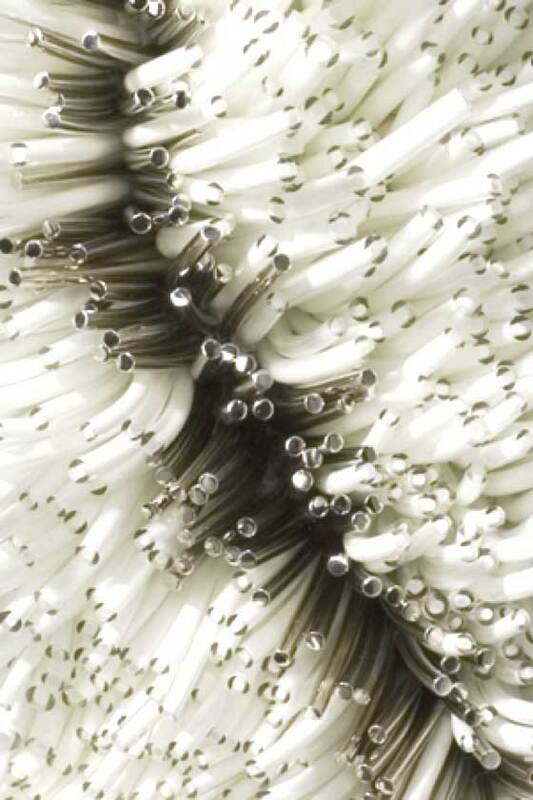 I am really rapt in front of these photos that i propose you: marvelous glass sculptures, realized by glass artist Shayna Leib. 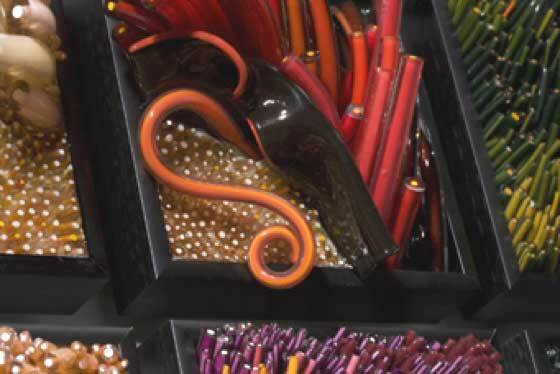 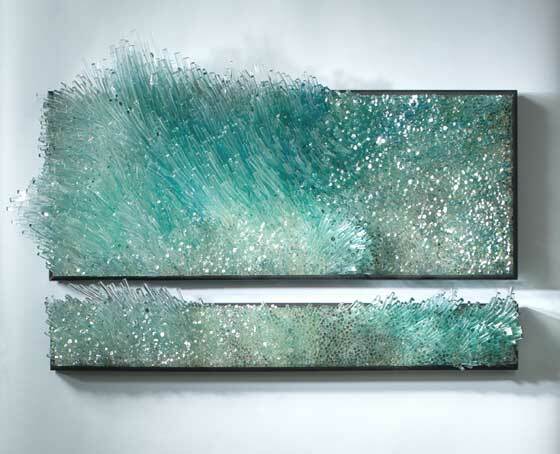 Particularly, the "Wind & Water" series is unbelievable for beauty and for process complexity: after the "warm" phase, in which the artist gets some curved filaments of colored glass, following Venetian glass tradition, there is a phase of assemblage and long and meticulous composition. 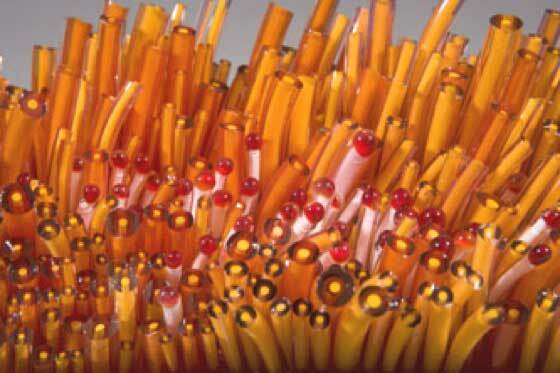 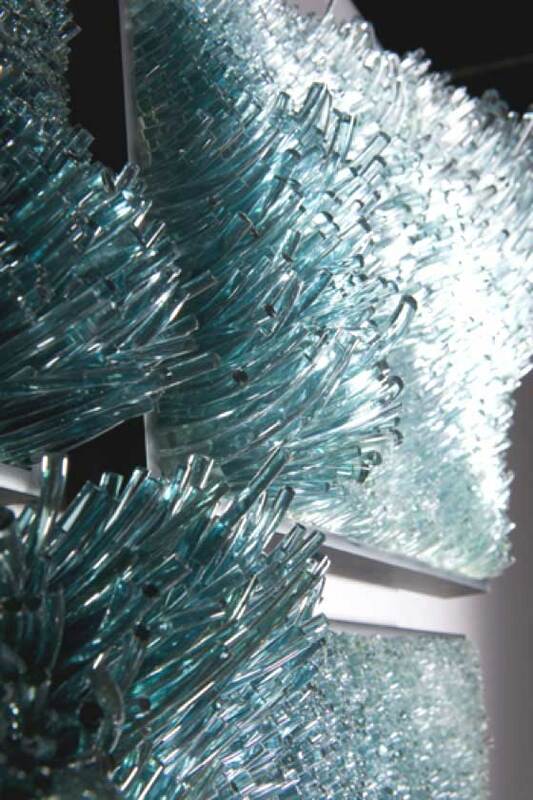 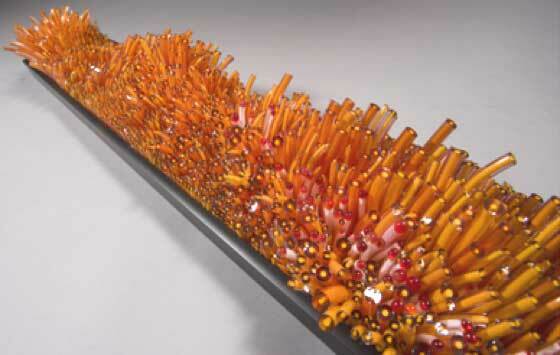 The long "straws" of glass are cut in thousand of individual pieces, that are ordered according to form and length. 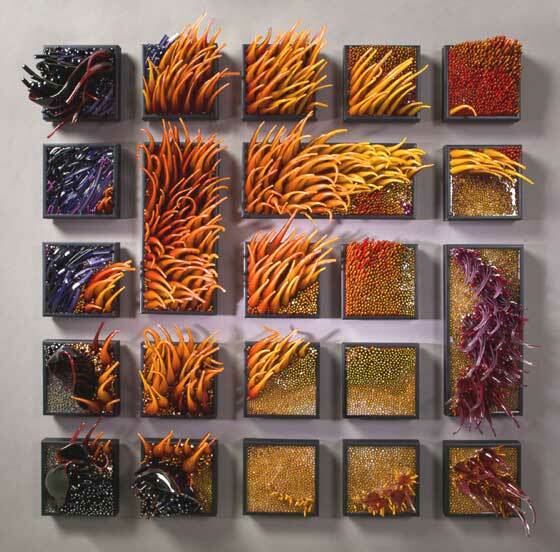 One to one the pieces are composed in frames for give idea of movement. 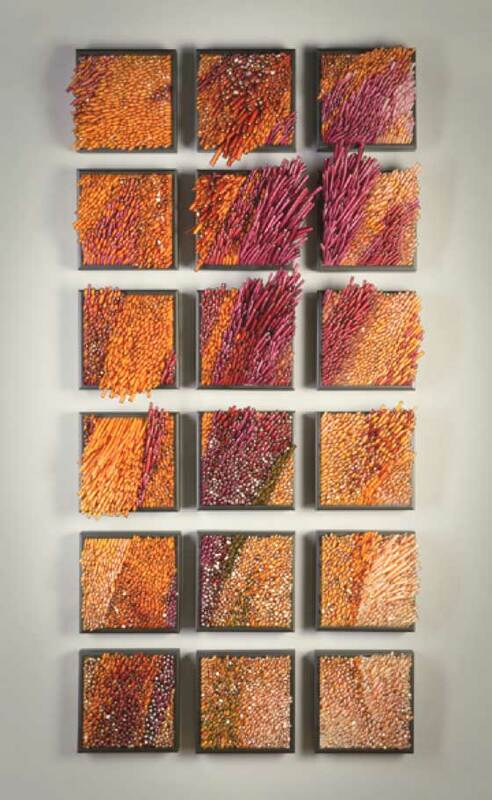 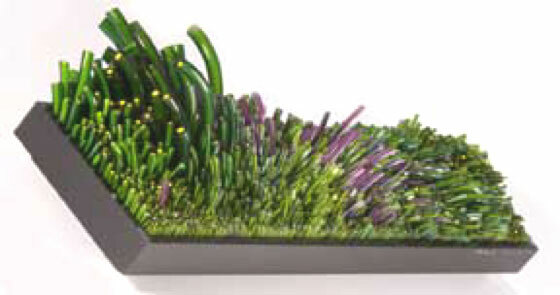 To complete 2 only square inches of this marvelous three-dimensional texture are necessary approximately 45 minutes!